It seems that every time I have lunch at Café du Parc, the elegant restaurant inside the Willard InterContinental Hotel, I find a new entrance to the dining room. The place has more doors than the setting for Noises Off. Found another one this time, through this pretty little patio. That area in the background, past the flags and the cars, is the Ellipse, the “backyard” of the White House. 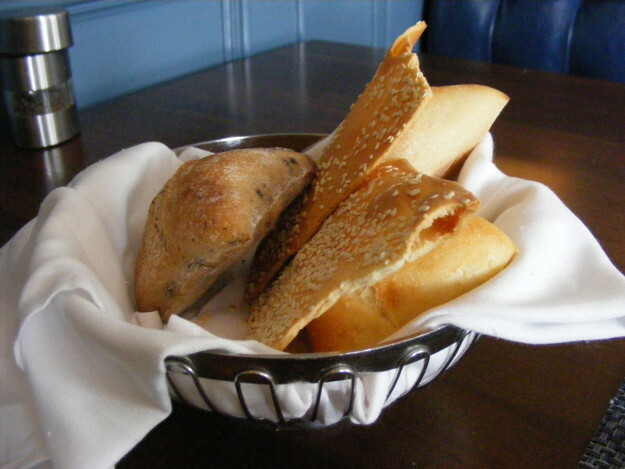 This bread basket, with five different kinds of bread, deserves its own special mention. What on earth, I wondered, is “Smoked Duck Bread”? It puzzled me all weekend. When I finally saw the table menu, everything became clear. 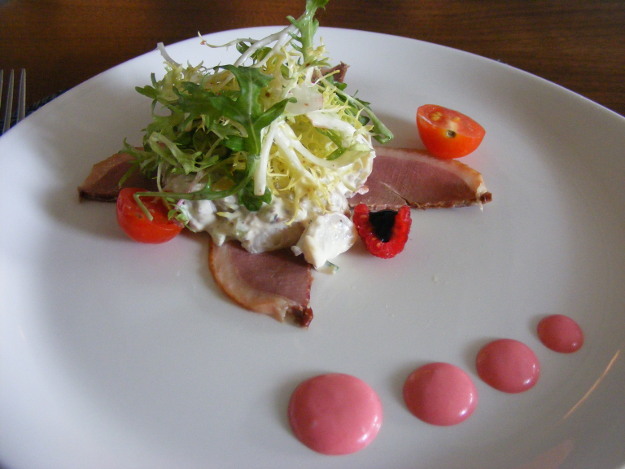 The picture shows the actual appetizer: Smoked Duck Breast and Stone Ground Mustard Potato Salad. I should have known that it was a typo. 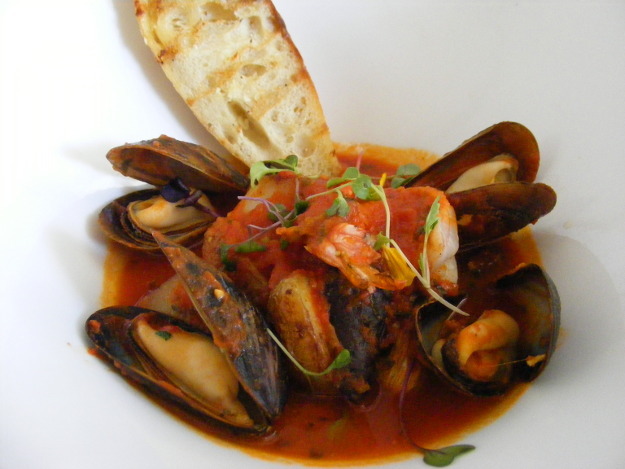 The Bouillabaisse, with shrimp, scallops, and mussels in saffron tomato broth left me a little depressed. Not because of the taste, which was fine, but because it reminded me of another, similar dish. Tadich Grill, the DC offshoot of the famous San Francisco restaurant, closed this month after a troubled three-year run in the city. I’ll miss it tremendously, because now that it’s gone, I’ll no longer be able to indulge in what’s probably its signature dish: Cioppino. Just look at that picture! Tadich Grill’s Cioppino was packed with scallops, shrimp, crab, prawns, clams, and mussels, in a sauce made with tomatoes and wine. 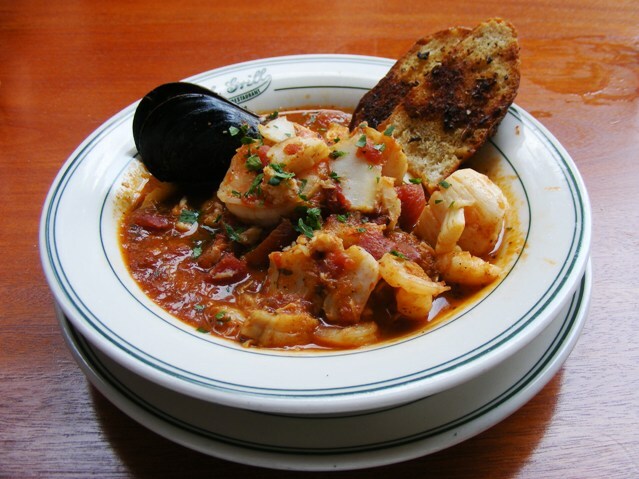 Cioppino originated among Italian immigrant fishermen in San Francisco during the late 19th century, and nobody makes a better version than the one you get at Tadich. Every couple of months, I’d get an overwhelming need for its spicy goodness and trek to Tadich to get it. Now my Cioppino fix is gone, and, while it might be an exaggeration to say that my life has become empty and meaningless, it’s certainly diminished. Guess I’ll just have to move to San Francisco. 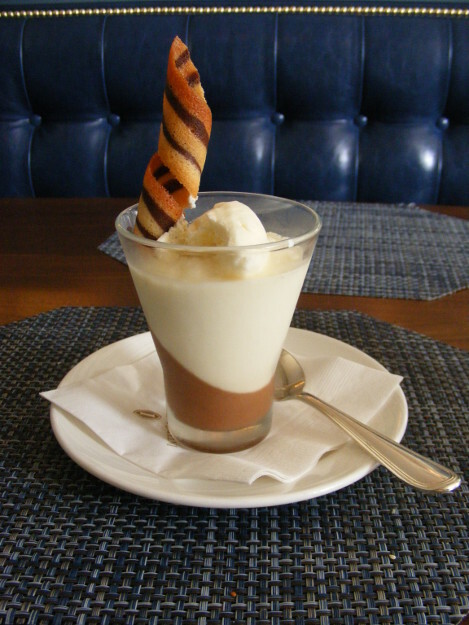 A duo of dark and white chocolate mousse, with Chantilly cream, spiced caramel sauce, and a ribbon tuile. District Commons take note: This is how you make a dessert. 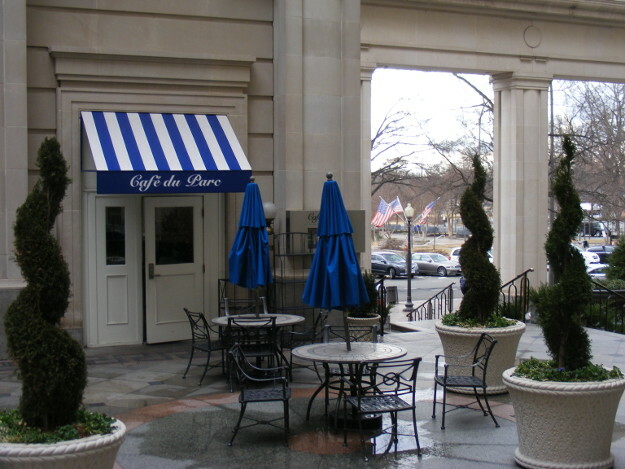 This entry was posted in Restaurants and tagged 2018 Winter Restaurant Week, Café du Parc, District Commons, Federal Triangle, Lunch, Tadich Grill on 30 January 2018 by bcarter3.